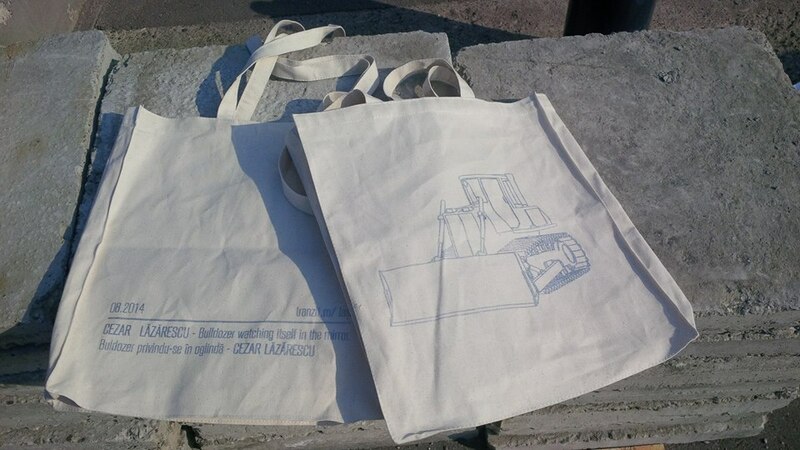 In 1997, the Iaşi artist Cezar Lăzărescu imagined a project for the public space around the Câlnic castle, part of an exhibition organised by the Bucharest SOROS Centre for Contemporary Art . 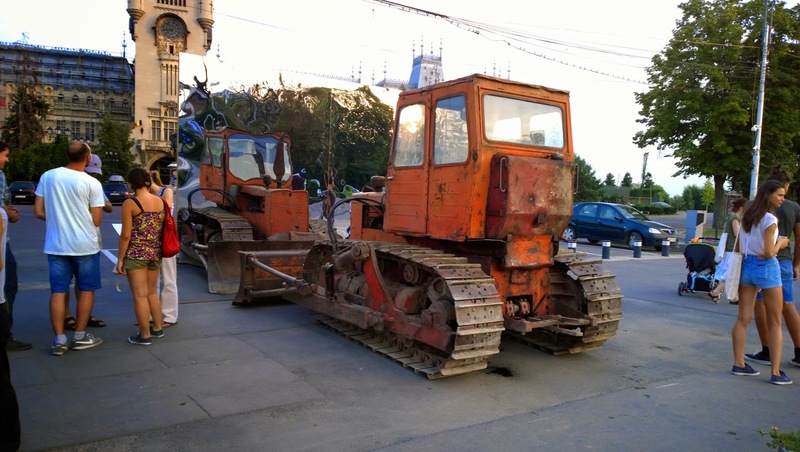 His proposal at the time – Buldozer privindu-se în oglindă (Bulldozer watching itself in the mirror) –, however, did not materialise until now, in 2014, when tranzit.ro/ Iași committed to putting it into practice as part of the project Mecanica unui proiect de artă în spațiul public din Iași (The mechanics of a contemporary art project in the public space in Iaşi). 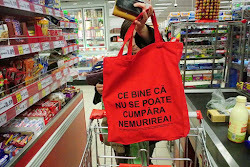 The mechanics of a contemporary art project in the public space in Iași concerns the prospecting and materialization of an infrastructure that is most often invisible, consisting of governmental and nongovernmental organisations, funding means and mechanisms, local and regional public authorities, as well as the various relationships that need to be established between them and an artist in order to realize a contemporary art project in the public space of Iaşi. Establishing durable connections, based on genuine mutual knowledge and trust between the various agents of this dynamic field is one of the long-term objectives of tranzit.ro/ Iași.